Part II will provide more depth into the concepts and theories associated with aging to further illuminate how and why our society views aging the way it does AND what practitioners can do about it. Having a core understanding about the field of aging (western view) will provide a new platform from which to effect change in older adult service and care. 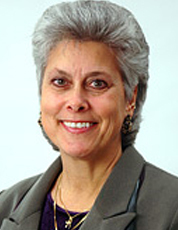 Dr. Marilyn R. Gugliucci is the Director of Geriatrics Education and Research at the University of New England College of Osteopathic Medicine in Maine. She designed and implemented an older adult community-based functional fitness program and conducts research on balance to reduce incidence of falls and improve stability.